Frank Wienk spent a good chunk of his lifetime studying the relationship between object and sound. Predominantly, his well-honed and peerless prowess of virtually any type of drum or percussion instrument served the artistic vision of others. As Binkbeats, Wienk snowballs his wide-eyed relationship to sound into a fully-formed, highly personal brainchild. 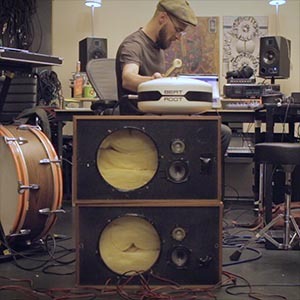 Binkbeats previously made his mark with the Beats Unraveled series, which found him translating such paragons as Flying Lotus, Aphex Twin and J. Dilla to acoustic, tangible realms. And impressively enough, Beats Unraveled achieved this feat without sacrificing the amorphous nature of the respective original works. Utilizing a vast collection of instruments – ranging from vibraphone, guzheng (Chinese harp) and yes, even typewriters – Wienk rapidly gained an impromptu following. To him however, Beats Unraveled marked an exploratory phase of how to recreate certain sounds with his own instruments and gear. 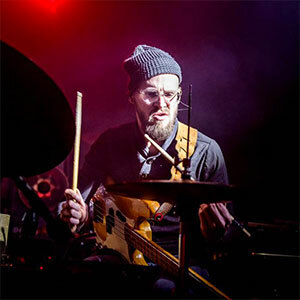 Now composing his original material, Wienk began stretching his sonic purview beyond just his vast array of percussion, and completely disregarding any parameters. As a matter of fact, the first creative spark arose by bringing harmonics and voice into the mix. 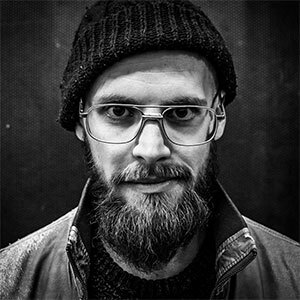 As a result, Binkbeats has become Wienk's beautiful limbo where his influences bleed into each other freely, intuitively and fearlessly. Cavernous, four-to-the-floor club sprawlers, widescreen pop euphoria and brooding drone workouts all orbit Binkbeats' all-embracing vision. The common thread of it all: to spawn something surreal out of the earthly. On stage, Wienk naturally surrounds himself with a dazzling amount of toys, instruments and gear: a physical performance that ranges from daredevil to introspective, exploring a nexus of possibilities. Binkbeats, with its confluence of aural whims, is – remarkably so – the work of one individual.